Missouri utility regulators have signed off on an agreement involving Ameren Missouri over solar rebates. Ameren Missouri asked the Public Service Commission last month for permission to suspend payment of the rebates. The agreement approved Wednesday calls for the utility to continue the rebates up to a maximum of nearly $92 million. Ameren had paid nearly $22 million from August 2012 through October of this year. Other parties to the agreement included the Missouri Solar Energy Industries Association and the state office that represents utility customers before the commission. 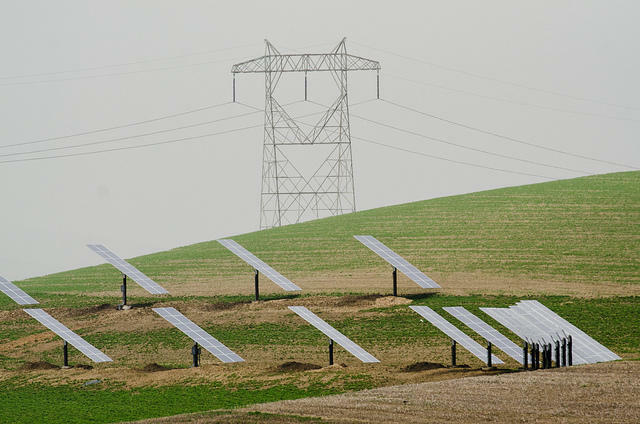 A 2008-voter approved law requires investor-owned utilities to derive a certain percentage of their electric generation from renewable resources. It caps rate increases derived from that measure at 1 percent. Missouri's largest utility, Ameren Missouri, is seeking an early halt to a solar rebate program that rewards consumers for using alternative energy sources. Kansas City Power & Light made a similar request in July. The St. Louis Post-Dispatch reports Ameren Missouri is asking the Missouri Public Service Commission for permission to curtail payment of millions of dollars in solar rebates before the year's end. The company says it has received more than $35 million in solar rebate requests, creating a financial strain.